I will be at the PA Farm Show today to teach urban AG 101. 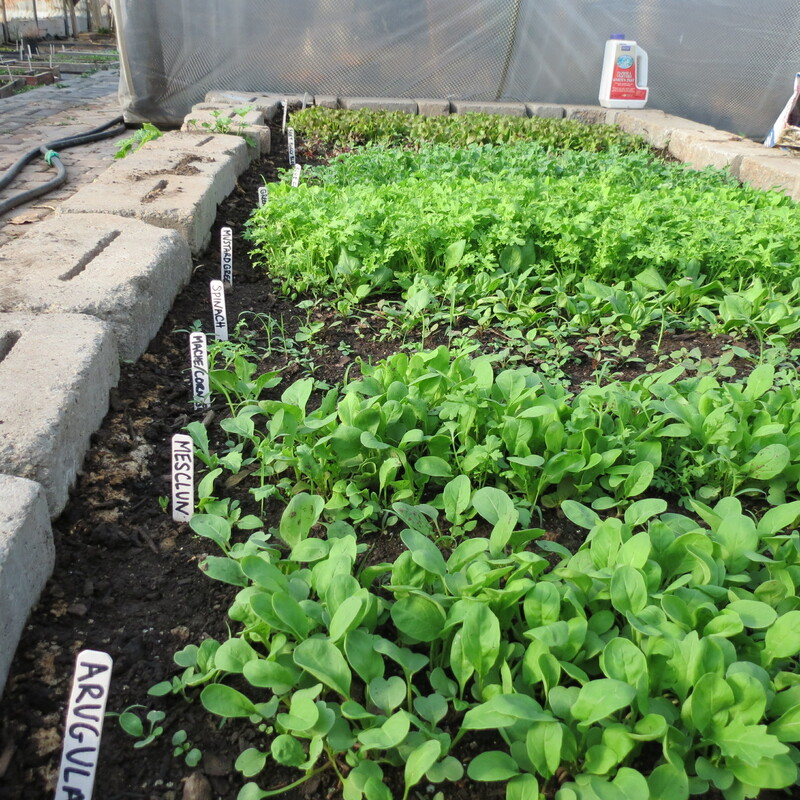 Many people can grow a salad in a tiny space! Today you can learn how. 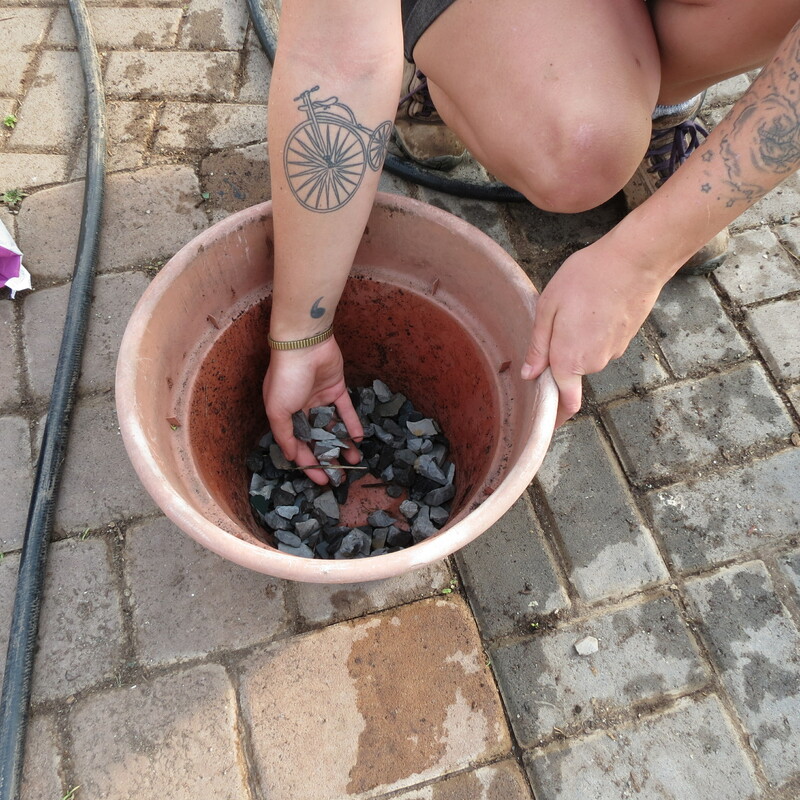 Step 1: Place about 2 inches of gravel in the bottom of your container. We used a 2 gallon flower pot but feel free to use whatever container fits your space and style. 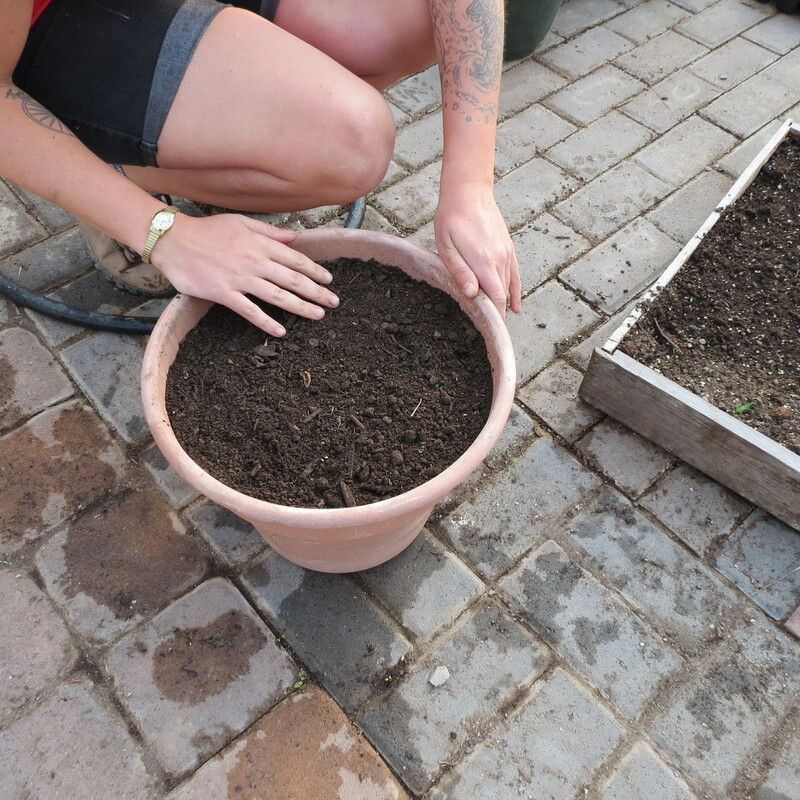 Step 2: Fill your container the rest of the way with potting soil. Make sure to not pack the soil too tightly. Step 3: Select the types of salad greens you want. You can use anything from romaine or spinach to beet greens. If you prefer spicy varieties mustard greens and arugula work great too. Step 4: Choose a tomato. We recommend a nice cherry tomato, as it will produce through out the summer and continually have multiple fruits ripe at the same time. Step 5: Select a cucumber. We chose a straight 8 variety which works great for slicing. 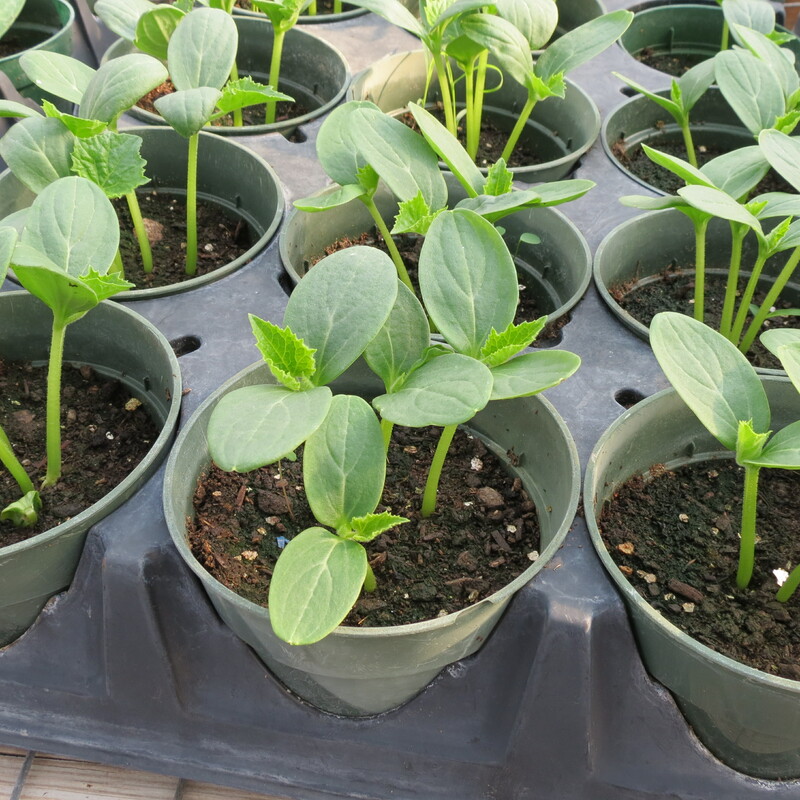 Step 6: Now that you have selected all of your seedlings transfer them into your container. 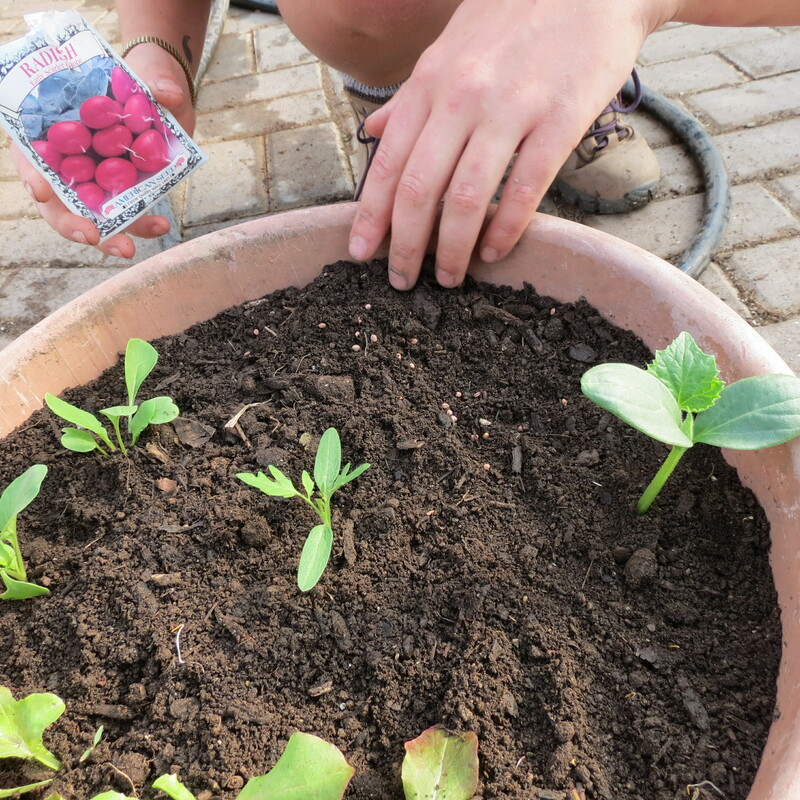 Dig holes deep enough to cover the roots and enough of the stem to support the seedling. 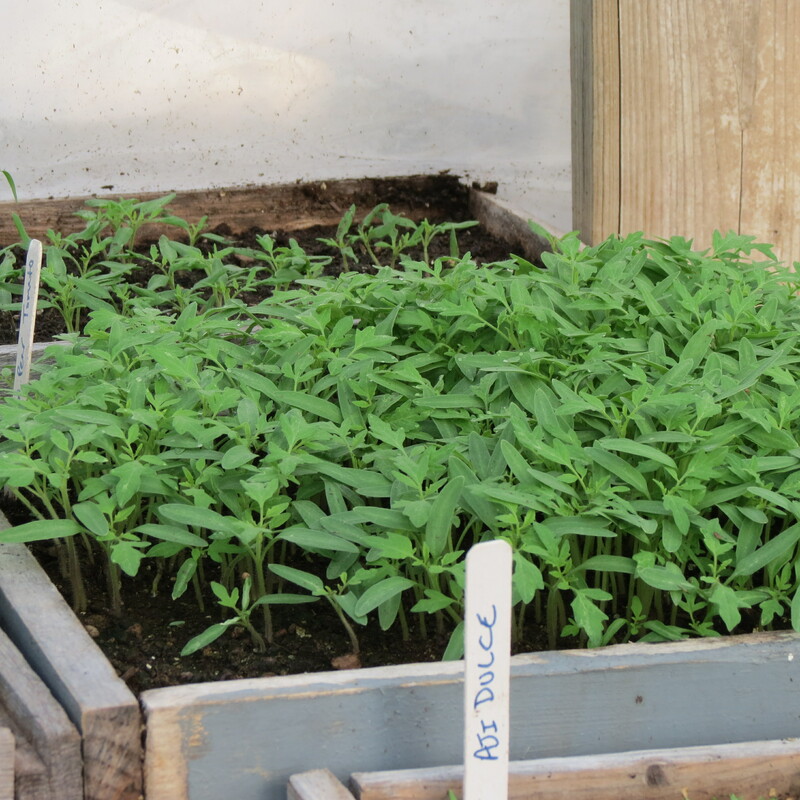 Make sure to leave about 4 inches of space between your seedlings so there is room to grow. Place the salad greens along the edge of half of the container. 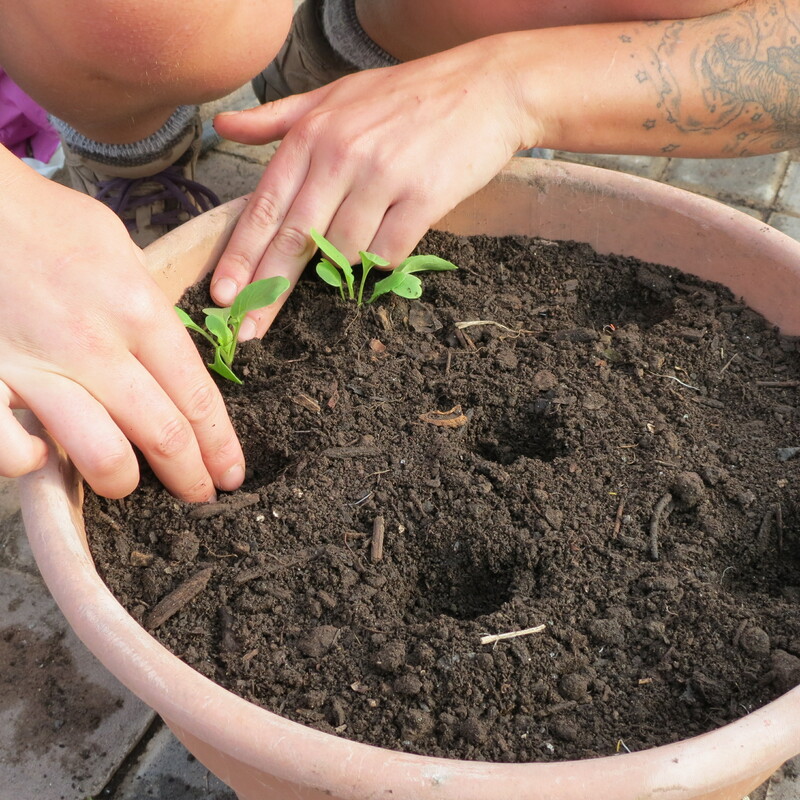 Step 7: Plant the tomato in the center of the container. It will grow to be the tallest and provide lots of shade for your salad greens. Step 8: Place your cucumber on the other side of the container. Remember that the cucumber will grow into a long vine, just let it spill over the side as it grows. 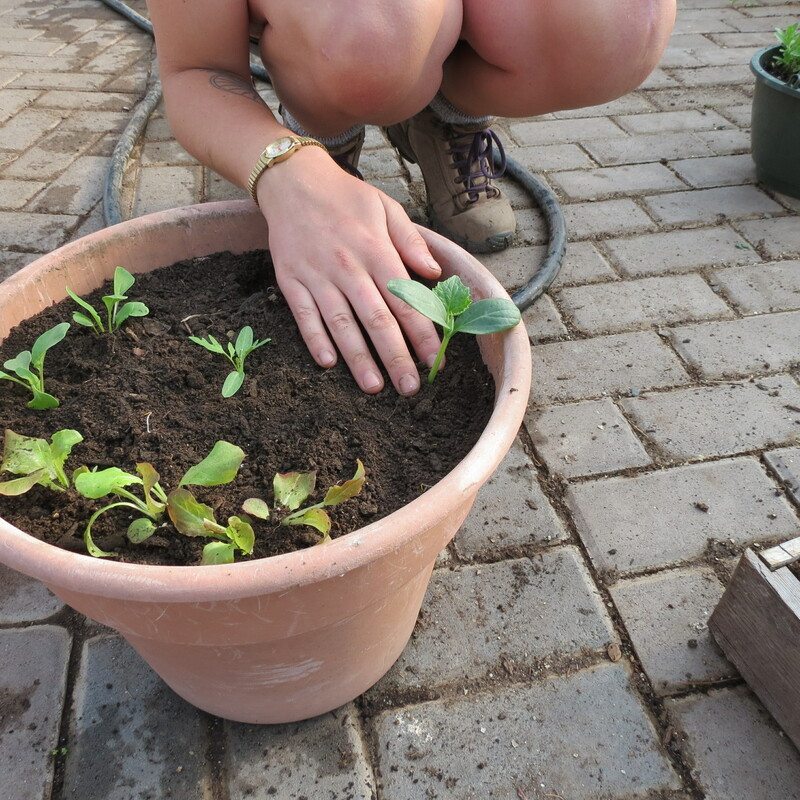 Step 9: In the space that you have left between your greens and cucumber plant some root vegetable seeds. We chose radishes but you could also plant carrots. 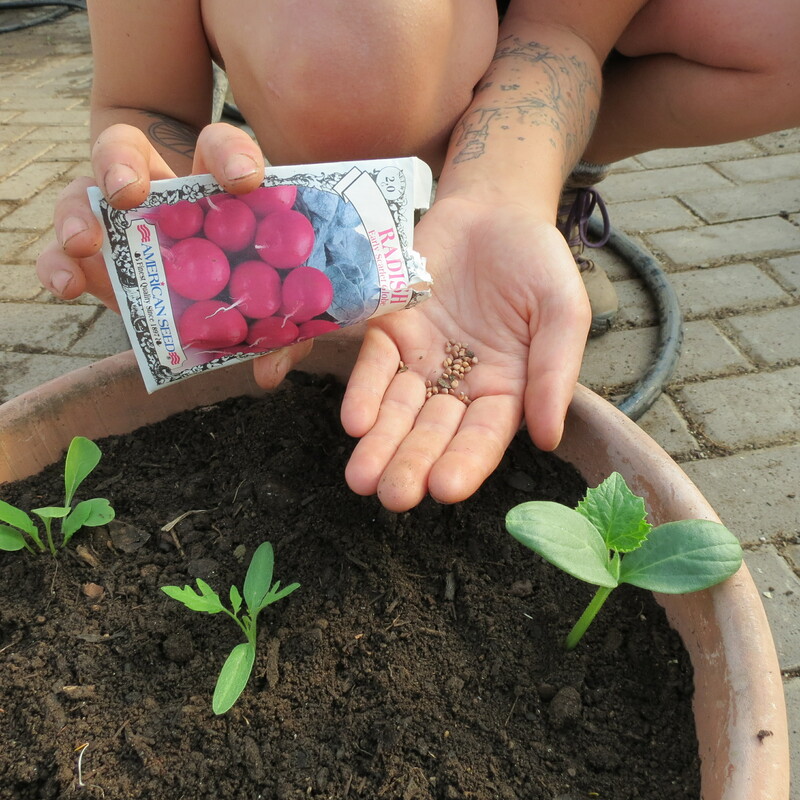 Step 10: Sprinkle seeds across the surface and then lightly cover with soil. Step 11: Finally give everything a nice big drink of water. Make sure to always keep the soil moist but not soggy by only watering as needed. Now set your container in the sun and watch it grow. Soon enough you will have everything you need to make a delicious fresh picked salad. These single container gardens work for a lot of other dishes as well. If you love Italian food plant a “Spaghetti Bowl”- use basil and parsley in place of the salad greens and a spaghetti squash in place of the cucumber. 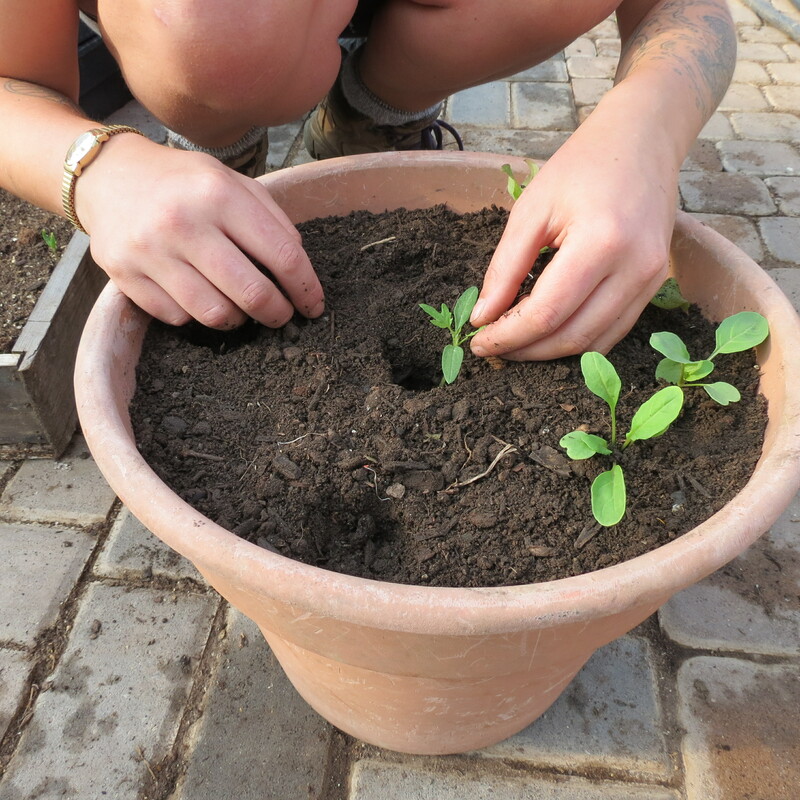 Or you can plant different types of mints, along with some chamomile and your other favorite herbs to make a “Tea Pot”. 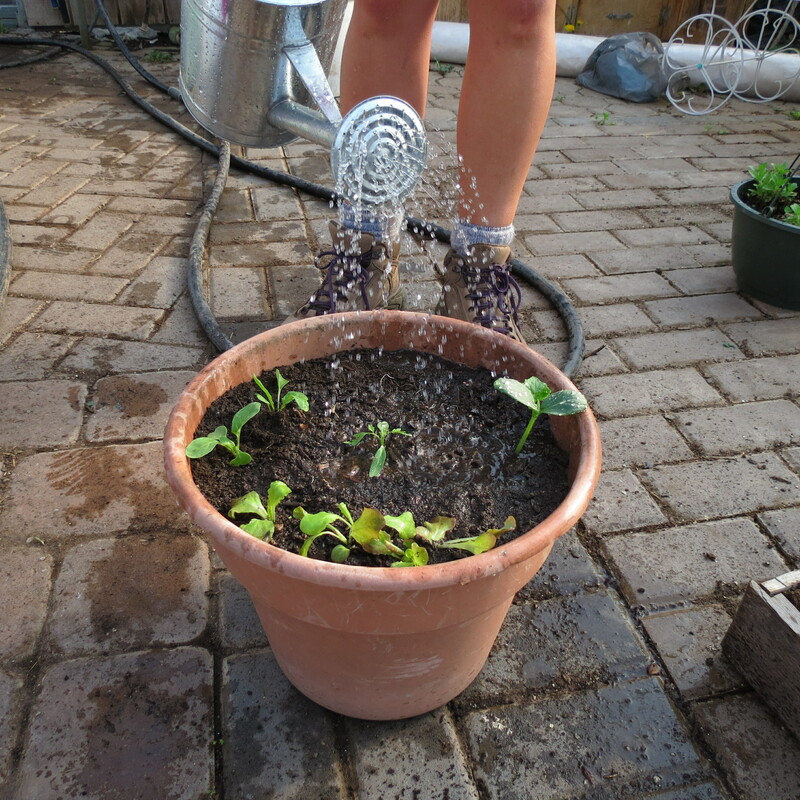 This is a really fun way to add more fresh veggies to your diet and allows you to have a garden even in a small space. Feel free to take this idea and run with it.